The Age of the Internet has been changing many facets of daily life. Now we get access to information, keep in touch with friends and even go shopping on the web. This article discusses the first person point of view of key advantages of one of the most purchased retail items on the web, flowers! I bought my first bunch of flowers at the neighborhood florist way back when I was a whiff of a teenager. While I feel that it was just a blink ago, it admittedly was a big block of time before the Internet became public domain. On the rare occasion that I did, I have to admit that I actually liked the feeling of entering a flower shop. Looking around, sniffing the arrangements, twiddling with the cards, mentally debating what to write or what color to get and finally how many to get. There were always a few varieties of flowers available but on impulse the first choice of purchase would be roses. Usually the displayed item would be red although a small sign would say that other colors were available. The romance already seemed to start with all these efforts. But alas, this dance was to be repeated again and again since the response of the recipient would always be too favorable. Men being men might be genetically predisposed to endure such ritual torment, fortunately for us and the rest of mankind, the passage of time also brings us with the endowment of technological options. At first the Internet gave us lazy letters called emails. I could now send typed messages without the need of postage. Websites then bloomed and us an eyeful of what more the world had to offer. It was all about information but now it has turned into a highway of commerce. Low and behold, soon enough flowers were for sale. As this trend caught on at our shores it gets one to think. Does the allusion of romance shrink with times? Does it now become impersonal? I think not. I think the online flower delivery industry even increases the potential of men (and women) to purchase a bouquet or two with very good reason. First of all, you can now see the entire catalogue of products and packages and compare them across the board. You can see all colors, types, fillers, and packaging options. Most even have guides and suggestions to help the user make a choice plus it already comes with a greeting card. Secondly, it’s keeps you on the clock. Apparently, if you become a member or a frequent customer, you become entitled to be conscientiously reminded by alien technology to send another bunch during occasions or special dates. Mind you, since this is now a worldwide phenomenon, it gives you the ability to send it anywhere on the globe. Now we become an omnipotent source of care and affection. Lastly, it’s the cost control. With the online gift economy world getting smaller and stronger, suppliers and distributors had to bind together and find more efficient means of delivering quality goods. Online stores also forego the overriding cost of brick and mortar businesses, therefore less real estate and less people power while operating virtually 24 hours. All these factors contributed to competitive pricing while raising the quality bar thus turning happy customers into frequent shoppers. The Internet doesn’t solve all the world’s problems, but at least in this case it pretty much gives a better solution. It’s common for people to live busier lives nowadays with the recession and the cutthroat competition so everyone is looking out for better ways to achieve personal as well as professional goals, lucky for the romantics the online flower delivery service has become quite a boon. Experience the best flower delivery service in the Philippines through Island Rose – Philippine Flowers and Gifts. 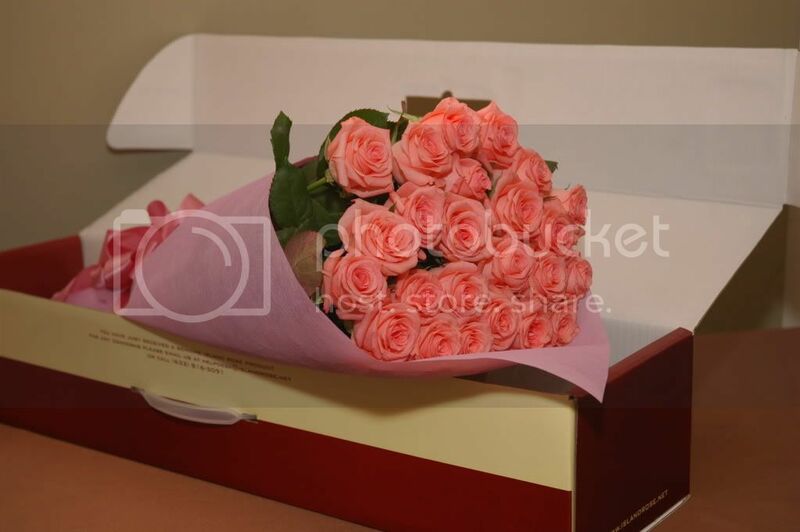 Visit www.islandrose.net and send farm-fresh flowers straight to your loved-ones’ doorstep. This entry was posted in Love and Relationships, Philippine Flower Guide.